Laid in the Sun until Pearl called, she just got home from New York. I picked her up and we went to Toes. Saw Lew. There’s going to be a big party at Toes Monday. 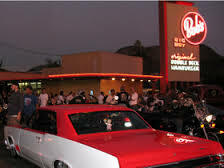 Tonight Pearl, my sister Donna and her friend Teri T. and I drove to Toes than to “Bob’s Big Boy” in the Valley. It wasn’t as crowded as last Friday We sat there for two hours and ate. I hate myself, because I wasn’t even hungry. Then this boy we met last Sunday came over. He’s nice and could be bitchen if he had long hair. He’s a Ken Doll for Barbie. We left and came home. 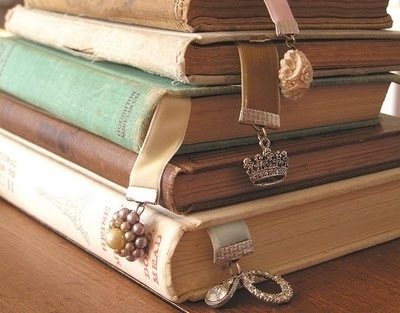 Donna, Terri and I read our Diary’s to each other until after 2:00 in the morning. You should have seen the Moon! So sad! I wished for a boyfriend so much. When there was no action at Toes in Playa del Rey, we all chipped in for gas, which was 25 cents a piece and headed for Bob’s in the San Fernando Valley, looking for cute guys. I found a perfect Ken Doll boy, but his hair was too short. That’s how picky I was for perfection. So I kept sifting until I found the right one. It was all about looks. 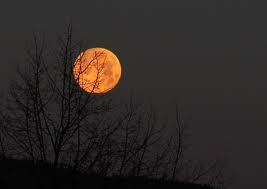 As Summer was ending the moon began to turn orange and was so big it took my breath away. All I wanted was romance, so seeing the moon made me feel sad and alone. Donna, Teri and I all kept Diary’s and it was so exciting to actually hear what was going on in each others lives. Two Surfer Girls and a Beach Bunny’s secrets. 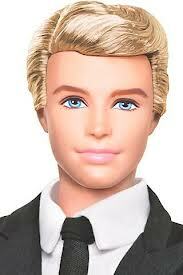 My wish under the Full Moon was to find my Ken Doll so we could be Barbie and Ken !!! This entry was posted in 1960's Surf Culture, 1964 High School Diary, Chick Secrets, diary, Little Sisters, Maybelline Girl, memoir, REALITY BLOG, Southern California 1964, teenage reality blog and tagged 1957 Chevrolet, 1964, Barbie and Ken, Beach, being in love, Bob's Big Boy, Culver City, Culver City California, Culver High School, dating, Full Moon, Ken Doll, Maybelline, Maybelline Story, Romance, Saffrons Rule, Sharrie Williams, Southern California, Surfer's Rule, teenagers, Van Nuy's, West Side Surfers, Westchester High School. Bookmark the permalink.